The Factory of the Future project, led by Swansea University, introducing children to ‘smart manufacturing’ will be rolled out to schools across the world if it wins its bid for a grant worth over £1.2 million. “It’s vitally important to introduce our schoolchildren to smart manufacturing underpinning technologies like 3D printing from a young age because this will help equip them with the skills they’ll need to access the high-paid jobs this sector will create in coming years,” said Dr Dimitris Pletsas, of Swansea University’s College of Engineering. 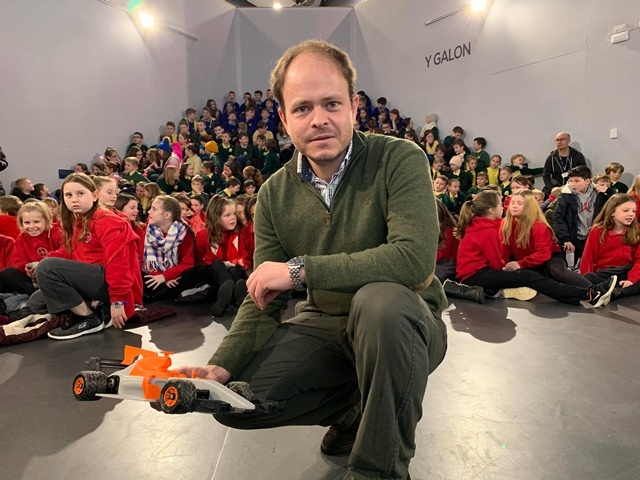 As part of the project, one of 11 across Wales, school children will be 3D printing and assembling battery controlled toy cars ahead of a race that will take place at Carmarthen Park’s velodrome in July. led by Ysgol Gynradd Nantgaredig primary school in Carmarthenshire, Wales, the project currently includes eight county primary schools who have been loaned 3D printers by Swansea University. Several local car dealerships and race event sponsors are also involved. Each 3D printed car is based on a Daniel Norée design, who has experience designing and building 3D printed miniature F1 R/C cars. Following the race, participating schoolchildren will be asked to 3D print local landmarks.